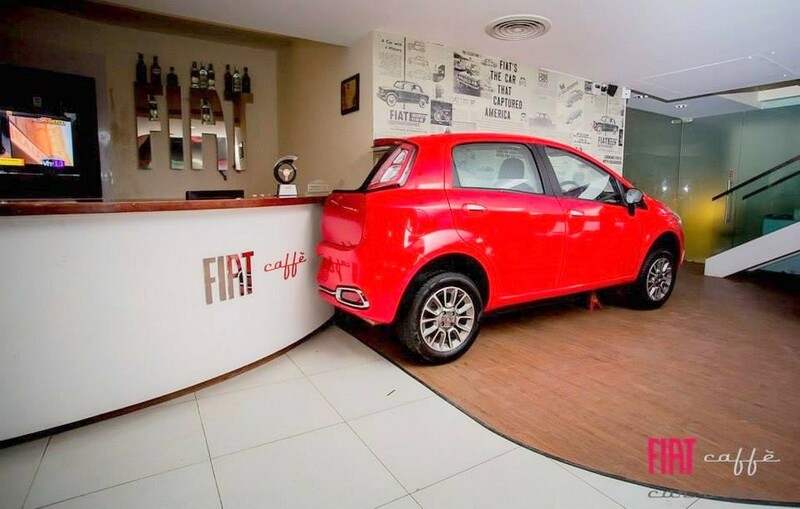 Italian automaker Fiat has opened a new cafe called Caffe Car-O-Bar in India. In attempt to attract more customers towards its brand – Fiat has opened this Cafe. What is Fiat Caffe Car-O-Bar? Fiat Caffe Car-O-Bar in Bangalore is nothing but a showroom where all sorts of programs and activities takes place to attract customers. Events like Retro night, stand-up comedy are held with a decent sized food menu as well. The Fiat Caffe Car-O-Bar is situated in Domlur Layout in Bangalore. Fiat Caffe Car-O-Bar is a great place for automobile enthusiasts. Fiat Caffe offers pretty decent food menu with Italian cuisine, while the cafe’s library is stocked with books on the history of Fiat automotive. 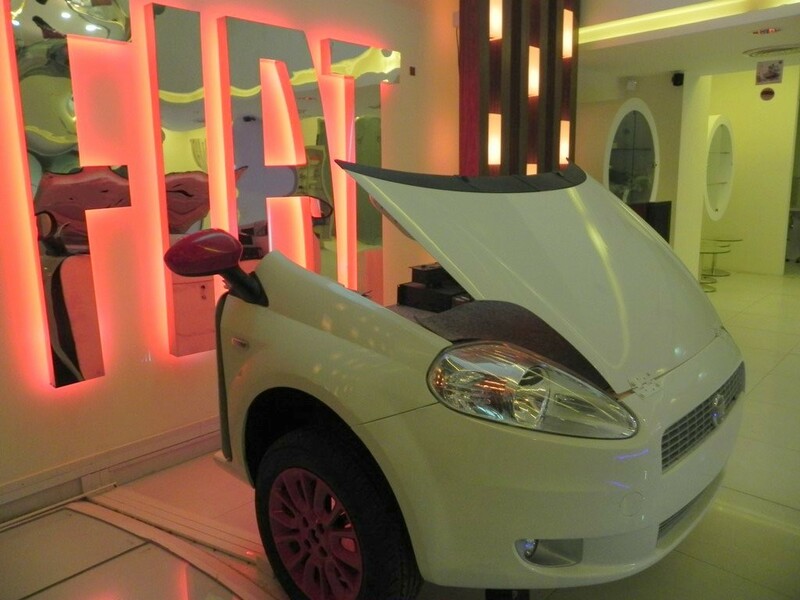 Visitors who come into Fiat Caffe Car-O-Bar can enjoy test rides of certain Fiat models which are on display. Various activities,food and other facilities at Fiat Caffe Car-O-Bar just nor increases the enthusiastic cars into the Showroom but also drives more attention to the brand – Fiat. The move of having Fiat’s own cafe is very important, especially at a time when the Italian automaker is experiencing very low sales than expected in the country. Fiat , the Italian automotive company has ramped up its entire dealer network to count of 132 and also plans to set up even more dealerships in the coming days with a wave of new offers. Fiat Abarth 595 Competizione, Jeep Wrangler & Cherokee and Punto Evo Abarth are all set to roll out from the Fiat stables in 2015.